Working life in Ireland - key characteristic of working life across a range of parameters. Ireland ranks well in most indicators for quality of life, particularly in relation to mental wellbeing, ability to make ends meet, sense of purpose in life and optimism. Overall there has been an increase in life satisfaction since 2011. Ireland has the highest self-reported levels of health in the EU, with 47% of respondents stating they were in very good health, significantly more than the EU average of 24%. Ireland ranks highest in Europe in the WHO-5 mental wellbeing index, and was higher in 2016 than in 2011 and 2007. The proportion of people at risk of depression is 15%, well below the EU average of 22%. Ireland also ranks highest in terms of sense of purpose in life: 90% feel what they do in life is worthwhile compared with 78% on average in the EU. It is also among the countries with the highest reported rates of optimism from respondents about their own, as well as their children’s future. There has been a marked decrease in the number of people in Ireland that report difficulty in making ends meet; 27% of respondents reported difficulty making ends meet in 2016, much lower than the EU average of 39% and significantly down on the 43% of respondents that reported difficulty making ends meet in Ireland in 2011. Despite this, Ireland is among the seven EU countries where levels of difficulty in making ends meet are still above pre-crisis levels. Ireland also ranked well on the quality of society indicators, particularly in relation to relatively low socio-economic and racial/ethnic tensions in society. There has been a significant decrease in reported tensions between rich and poor in Ireland since 2011: 19% reported a tension between rich and poor in 2016, down from 28% in 2011. This brings Ireland well under the EU average of 29%. Ireland also ranks as one of the countries in Europe with the lowest reported tensions between different racial and ethnic groups; this is despite a general increase in tensions in Europe and a marked increase in some countries. Reported tensions between ethnic groups in Ireland has been decreasing consistently since 2003 and now stands at 21%, below the EU average of 41%. The reported tension between people with different sexual orientations is lower in Ireland than in most other EU countries: 14% of people say there is a lot of tension, compared with 20% on average in the EU. The reported quality of public services in Ireland has increased or remained consistent with 2007 and 2011 levels in most areas. Education and state pension systems were rated positively, coming in at above EU averages. However, the cost-related difficulties in accessing some public services, notably those related to health and childcare, are amongst the highest in the EU. In the case of childcare this was reflected in the fact that the use of a childminder or a childcare facility, as opposed to family members, is less common in Ireland than in most of the EU: these services are used by 25% people in Ireland compared with 34% on average. While ratings for quality of GP services are high, access is an issue - 38% of respondents cited cost as a factor making it difficult to see a GP, compared to 16% in EU on average. A particular finding has been that cost was reported as a problem by 46% of people from uppermiddle incomes suggesting rather uneven levels of issues in accessing healthcare in society. Nevertheless, there is a much higher rate of satisfaction for primary care compared to other forms of care than in other EU Member States. Other notable findings for healthcare were that Ireland ranked below the EU average in terms of e-consultations and prescriptions. The only area in which there has been an overall decline in perceived quality since the 2011 survey is that of social housing. This profile describes the key characteristics of working life in Ireland. It aims to complement other EurWORK research by providing the relevant background information on the structures, institutions and relevant regulations regarding working life. This includes indicators, data and regulatory systems on the following aspects: actors and institutions, collective and individual employment relations, health and well-being, pay, working time, skills and training, and equality and non-discrimination at work. The profiles are updated annually. Pay bargaining continued on an upward trajectory in 2018, with the average basic pay increase projected at 2.8% for the year – up from the projected 2.5% figure for 2017. The pattern observed over the previous few years had been that pay agreements tended to be higher on average than the projected average from surveying at the start of each year. The largest trade union set a bold per annum basic pay increase target of 3.4% for private sector employer negotiations in 2019, which looked likely to meet with resistance from many employers, primarily due to uncertainty around Brexit in early 2019. Industrial action at Ryanair in 2018 was the result of teething problems, as the formerly staunch non-union airline agreed to collectively bargain with unions in late 2017. Meanwhile, at one of the largest unionised employers in the country, Tesco Ireland, relations with its main trade union, Mandate, essentially broke down for the remainder of 2018, with no collective bargaining. Instead, the employer opted for unilateral decisions on pay and other industrial relations matters. This breakdown was serious and led to further small-scale industrial action in December 2018, after nationwide strikes occurred in February 2017. Social dialogue on a broad level was not particularly decisive. The main dialogue body, the Labour Employer Economic Forum (LEEF), convened several times during 2018 but there were no concrete outcomes from this process. It seems there is little in the way of using social dialogue as a means of progressing measures in working lives. A leading trade union organiser, Gerry McCormack, reiterated again, in late 2018, that centralised wage bargaining, under the former 1987–2009 Social Partnership model was ‘dead, for the moment’. Arguably, the two main working life subjects for 2018 were gender pay and insecure or low earnings, with the latter concluding in new legislative measures to take effect in March 2019. The Employment Act was the result of a long process of enquiry and debate, stretching back three years to the publication of the University of Limerick’s report into zero- and low-hour working in Ireland. The main changes brought by this law were a large ban on zero-hour contracts, bar some exceptions, and a new legal right to request more contractual working hours if workers could demonstrate that their working hours over a reference period of 12 months showed they were working more than their existing contractual working hours. 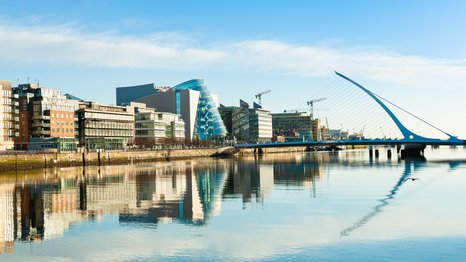 Ireland is a small, open economy, heavily dependent on international trade and foreign direct investment. Between 2012 and 2017, Irish GDP grew an impressive 49.7%, about 6 times the EU average for the same period (7.4%). During this time, total unemployment decreased 8.8 percentage points, reaching 6.7% in 2017, below the EU average rate of 7.6% for that year. Youth unemployment decreased 16.6 percentage points in the five years, over twice the EU average (-6.5%) for the same period. Employment rates between 2012 and 2017 showed some growth; however, the youth employment rate fell 3.6 percentage points to reach 46.7% in 2017, but still remained above the EU average for the same year (41.7%). The industrial relations system has historically been characterised by ‘voluntarism’; this has meant minimum intervention by the law rather than non-intervention by government in collective bargaining. The growth of individual employment law has led to the development of an increasingly complex system of institutional arrangements that operate in a quasi-legal fashion to adjudicate on cases. In 2011, a reform of the current employment rights institutions was launched . Under the plan the existing five workplace relations bodies will be replaced by a new two-tier structure, with a new Workplace Relations Commission and an expanded Labour Court. The enabling legislation for this change was passed in July 2015. The reform of legislation for wage-setting sectoral agreements under the Joint Labour Committee (JLC) and Registered Employment Agreement (REA) mechanisms has been completed, with both JLCs and new Registered Employment Agreements & Orders permitted to be established. The new Industrial Relations (Amendment) Act 2015 , which provides a new definition of collective bargaining as well as enhanced protection against victimisation of workers, was also passed in July 2015. It corrects aspects of the IR Acts 2001 to 2004 which severely limited the use those Acts. The industrial relations system has changed significantly over the past 20 years, with a concentrated period of change since 2009. There has been a gradual erosion of voluntarism and collectivism and a growing legalisation of the employment relationship – particularly the growth of individual rights-based employment law in certain areas. The Industrial Relations (Amendment) Act 2015 gave effect to the Programme for Government Commitment to reform legislation on collective bargaining. The Act defines collective bargaining as voluntary engagements or negotiations between any employer or employers’ organisation on the one hand and a trade union of workers or an excepted body on the other hand, with the objective of seeking agreement regarding the working conditions or terms of employment or non-employment of workers. The definition requires that there be more than consultation or the exchange of information. The purpose of the exercise must be to seek agreement on working conditions and the terms of employment or non-employment. The Act does not impose any obligation on employers to engage in collective bargaining. However, the Act broadens the circumstances in which workers, whose employers refuse to engage in collective bargaining, can have relevant disputes addressed. Perhaps the most important trend in Irish industrial relations over the past 20 years was the introduction, evolution, and then subsequent breakdown, in early 2010, of national-level collective bargaining and social dialogue (‘social partnership’). In 1987, the first of six tripartite centralised agreements or social pacts were negotiated. These centralised pacts covered not only pay, but a range of social and economic issues. Evaluations of social partnership, before it withdrew, varied from seeing it as contributing to strong economic performance, growing employment, low levels of unemployment, rising real wages and decreasing levels of absolute poverty, to a perception that it increased inequality in wages, and featured high levels of relative poverty and low expenditure on public services compared with other advanced economies. Since the end of formal social partnership, collective bargaining has taken place at company level in the private sector. Meanwhile, in the public sector, successive bi-lateral national collective wage deals have been agreed between the government and the public service unions (the ‘Croke Park’ Agreement, ‘Haddington Road Agreement’ and the ‘Lansdowne Road Agreements’/Public Service Stability Agreement (2018-2020). While the Lansdowne Road/Public Service Stability Agreement (2018-2020) is a bilateral collective bargaining agreement, some view it as a form of shadow social partnership in the public sector. In 2016, a new Labour Employer Economic Forum (LEEF), which includes representatives of employers and trade unions with government ministers, was established. The aim of the LEEF is to provide a space to discuss areas of shared concern affecting the economy, employment and the labour market on a thematic basis, such as competitiveness, sustainable job creation, labour market standards and equality and gender issues in the workplace. However, LEEF does not deal with pay issues. Trade unions, employers’ organisations and public institutions play a key role in the governance of the employment relationship, working conditions and industrial relations structures. They are interlocking parts in a multilevel system of governance that includes the European, national, sectoral, regional (provincial or local) and company levels. This section looks into the main actors and institutions and their role in Ireland. The Department of An Taoiseach (prime minister) was the Government wing of the former tripartite social partnership system (1987–2009). However, the remit for the Government’s involvement in industrial relations and working conditions today is under the Department of Jobs, Enterprise & Innovation. This Department is in charge of all major legislative changes in this area (industrial relations laws; dispute resolution state bodies). It is also tasked with the establishment of the new Low Pay Commission, and is responsible for discussion around the national minimum wage rate. The Department of Public Expenditure & Reform , established in 2011, is largely responsible for the public sector paybill and pensions. It also negotiated the major public sector stability agreements (the Haddington Road Agreement and its successor, The Lansdowne Road Agreement) with the public services committee of the Irish Congress of Trade Unions with the assistance of the Labour Relations Commission. The Workplace Relations Commission was established in 2015. It is an amalgamation of five state bodies which previously regulated employment relations: the Labour Relations Commission (LRC), the Labour Court, the Employment Appeals Tribunal (EAT), the Equality Tribunal (ET), and the National Employment Rights Authority (NERA). The Labour Court deals with individual and collective dispute referrals. The Health & Safety Authority is the national statutory body with responsibility for ensuring workers (employed and self-employed) and those affected by work activity are protected from work related injury and ill-health. It enforces occupational health and safety law, promotes accident prevention, and provides information and advice across all sectors. The Irish Congress of Trade Unions (ICTU) is the umbrella group for the large majority of trade unions in Ireland, with 48 affiliated trade unions. At national level, such as with the bilateral public sector agreement talks, the ICTU is the central negotiating body. (ICTU was also one of the tripartite bodies during the formal social partnership era, 1987-2009). Trade unions do not have to be affiliated with the ICTU to be a legitimate trade union. However, in the public sector, the employer (Government) does not bargain with non ICTU unions. A trade union must comply with the terms of Trade Union Acts and Industrial Relations Acts and must satisfy a list of criteria to be granted a negotiating licence. Ibec (formerly known as The Irish Business and Employers’ Confederation/IBEC) is the largest representative body for employers in Ireland. It was a tripartite body involved in social partnership (1987–2009) but has not negotiated at national level since national wage agreements stopped (it does not represent the employer side in public sector-wide talks, but can represent individual public sector employers, such as universities, in dispute resolution). Under article 40.6.1(iii) of the Constitution of Ireland, the right to form a union is enshrined. There is no automatic right to join a trade union – such may confer obligation on the part of a trade union to accept membership, which itself could be unconstitutional. Trade union members are protected against discrimination under various laws, such as the Unfair Dismissals Act 1977, which makes dismissal for reasons of trade union membership or activity automatically unfair. Some public servants are currently excluded from the ability to form trade unions, and instead form representative associations which entail restrictions around striking. These include members of An Garda Siochana (police force) and the Defence Forces. There is just one trade union confederation in Ireland, the Irish Congress of Trade Unions. In 2011, a report of the Commission on the Trade Union Movement was published. This report recommended that affiliate unions of ICTU, working in common sectors should cooperate more closely and explore possible amalgamations and mergers, in order to increase their capacity to deliver for members and also their wider impact. In 2013, at the ICTU biennial conference, union realignment was formally adopted with exploratory talks between some unions taking place in 2014. A major merger between three public service trade unions Impact, the Public Service Executive Union (PSEU) and the Civil Public & Services Union (CPSU), took effect from January 1st, 2018. This lead to the formation of a new trade union with 80,000 members, known as Fórsa. There may be further reductions and amalgamations of ICTU affiliated unions in future, delineated according to sectors of work (e.g. services; public administration; manufacturing, etc.). The main employer organisation is Ibec, which lists some 7,500 companies as members, and has 60 sub-branches specialising in specific sectors. Part of Ibec is the Small Firms Association , which specialises in representing firms employing 50 people or less. The Construction Industry Federation (CIF) specialises in representing businesses in and associated with the construction industry. It has around 3,000 members. Irish Small and Medium Enterprises (ISME) is a representative body for companies with less than 250 employees. It is a lobby group, and does not engage in collective bargaining. The American Chamber of Commerce (AmCham) represents over 500 US multinational companies in Ireland, acting as a lobby group. Tripartitism is not part of collective bargaining. This has been the case since the end of 2009. However, with continued momentum in the Irish economy since 2013 (though there is less than consensus on how stable the economic environment is in 2015), there is pressure to formulate some form of national system to funnel the increasing wage pressure, as well as other employment-related factors. Yet, while there is little indication on what form of consensus arrangement there could be in the near future, it is not unlikely that a more coherent bipartite social dialogue system (as opposed to a tripartite social partnership model) may emerge, if only to deal with employment-related matters outside of pay rises. A bipartite body, recently approved by the Department of Jobs, Enterprise & Innovation, is the Low Pay Commission. This Commission is tasked with looking at the major issues around low-paid work and if the national minimum wage merits an increase. It will comprise of an independent chair; three people representing the interests of low paid workers; three people representing the interests of employers (where the NMW is relevant); and two people from an economics, labour market economics, statistics or employment law background. The social partners sit on the National Economic and Social Council (NESC); however, the NESC concentrates on environmental and housing issues. In 2016, a new Labour Employer Economic Forum (LEEF) which includes representatives of employers and trade unions with government ministers was established. The aim of the LEEF is to provide a space to discuss areas of shared concern affecting the economy, employment and the labour market on a thematic basis, such as competitiveness, sustainable job creation, labour market standards and equality and gender issues in the workplace. For 1996 Act to apply, employer must have at least 150 employees in Member State. For the 2006 Act to apply there must be > 50 employees in the undertaking. 10% of employees must ‘trigger’ the Act. In the figure, we see a comparison between Ireland and European Union for the people with 'Establishment size : All' when asked 'Official structure of employee representation present at establishment'. 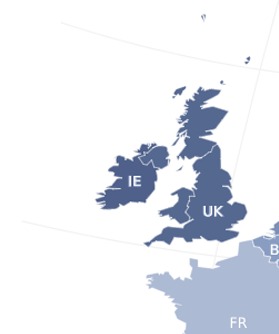 For the 'Yes' answer, Ireland's score is lower than the European Union score. For the 'No' answer, Ireland's score is higher than the European Union score. The National comparisons visualisation presents a comparative overview for the values of all answers between two selected countries. The central concern of employment relations is the collective governance of work and employment. This section looks into collective bargaining in Ireland. Collective bargaining in the private sector currently occurs at enterprise/local level. National level bargaining in the private sector was abandoned in 2009 after the breakdown of social partnership, yet the social partners annually agree to a protocol (private sector protocol) for how collective bargaining should be exercised. In the public sector, three major cost reduction agreements – the Croke Park Agreement 2010, the Haddington Road Agreement 2013 and the Lansdowne Road Agreement 2015 – followed negotiations between the public services committee of ICTU and Government representatives. Collective agreements in the private sector accord with the ‘voluntarist’ approach of industrial relations in Ireland, in that they are not strictly legally binding or enforceable. However, disregard for collective agreements is consistently and strongly advised against by the Labour Court. Non-adherence to agreement terms could give rise to industrial action or disciplinary measures. The public sector agreements, similarly, are not legally enforceable. However workers have accepted them as preferable to the more severe terms – which are legally enforceable – that apply to those groups of workers who choose to remain outside those agreements. The less favourable terms are enforced through the financial emergency measures in the public interest (FEMPI) laws 2009–2015. Wage bargaining coverage in the private sector, though not calculated to a certain degree, would be at a percentage level higher than trade union density, given collective bargaining can be conducted without union involvement. However, gathering data on non-union company-level bargaining is difficult and a recent, national-level survey of such scope is not in place. Wage bargaining in the public sector covers the entire sector. Sources: Eurofound, European Company Survey 2013 (ECS), private sector companies with establishments >10 employees (NACE B-S) – multiple answers possible. Collective bargaining in the private sector is at present mainly at local level. However, the early stages of reformed sectoral bargaining are well under way, following the Ministerial orders to re-establish joint labour committees in early 2014. A new Sectoral Employment Order (SEO) covering rates of pay, sick pay, and pensions across the construction sector was signed into legislation on 19 October 2017, following acceptance by the Minister of State at the Department of Business, Enterprise and Innovation of a recommendation from the Labour Court. The SEO places a legally binding floor on rates and obligations in the construction sector throughout the country. A further SEO application for about 10,000 mechanical craft workers was heard by the Labour Court in October 2017. In other sectors, such as hotels, there is stronger resistance to SEOs. In the public sector, since 2010 successive major agreements have provided the national framework for industrial relations for the whole of the public sector: the Croke Park Agreement 2010, the Haddington Road Agreement 2013 and the Landsdowne Road Agreements 2015 and 2017 (these are incorporated into one continuing public sector agreement). In the private sector, there is only local/enterprise level bargaining in play, although, as noted above, there are moves towards sectoral bargaining in sectors like construction. Government department and the public services committee of the ICTU). As there are no national wage agreements in force, there are no bargaining rounds in the private sector. Company level agreements cover periods of between one and three years. In the public sector, each national bilateral agreement lasts approximately three years. The newly agreed Lansdowne Road Agreement is in place from 2018-2020. The largest union, SIPTU, operates an average 2% pay increase over 12 months strategy in local bargaining in its manufacturing division. This approach is not rigid and depends on other localised factors. Other unions, such as the retail union Mandate, seek the same measures across different employments, namely banded hours arrangements (this is where part-time workers can gain access to a greater level of minimum working hours with service). Ibec and other employer representative bodies continue to provide advice to members in respect of local bargaining. With the collapse of social partnership national agreements, for example, Ibec advised its members that they should not be obliged to pay the terms of the last national wage deal (a phased 6% pay increase over 2008/2009) due to prevailing financial circumstances – Ibec withdrew from social partnership in 2009. 1. JLCs have the power to set a basic adult wage rate and two additional higher rates. 2. Companies may seek exemption from paying ERO rates due to financial difficulty. 3. JLCs no longer set Sunday premium rates. A new statutory Code of Practice on Sunday working is to be prepared by the Workplace Relations Commission. 4. When setting wage rates JLCs will have to take into account factors such as competitiveness and rates of employment and unemployment. New Employment Regulation Orders in the Security and Contract Cleaning sectors have been established since the 2015 legislation was introduced. The IR (Amendment) Act 2015 also provides for Registered Employment Agreements (REAs) on pay and conditions of employment in individual enterprises. The effect of registration with the Labour Court is to make the provisions of an REA binding. Under the reformed sectoral wage-setting system, a detailed process is established by which individual employers can seek temporary derogation from the sector-level minimum pay and conditions set by both REAs and EROs, on grounds of financial difficulty. The derogation provisions are identical for both EROs (which cover lower-paid sectors) and REAs (which cover more skilled workers and tend to have higher pay rates). An exemption is to be for a maximum of 24 months and a minimum of three months, with employers barred from seeking exemptions if they have already been granted an exemption in the case of the same workers in the previous five years. An exemption can be sought, not only if the employer has entered an agreement with the majority of the workers or their representatives, but also without agreement if the Labour Court is satisfied that the employer cannot maintain the terms of the ERO/REA and compliance would result in considerable lay-offs and adverse effects on the survival of the employer’s business. Trade unions have argued consistently that such individual exemptions would undermine EROs/REAs, by creating an uneven playing field and allowing employers with exemptions to undercut their competitors, who would still be bound by the ERO/REA norms. To guard against this, the Bill requires the Labour Court to consider whether the exemption would have an adverse effect on employment levels and distort competition in the sector to the detriment of other employers. The Court also has to have regard for the implications of an exemption for the long-term sustainability of the employer’s business. In addition, the exemption cannot allow an hourly wage which is less than the National Minimum Wage and it must not reduce the pension contributions paid by the employer. There are currently only two EROs in existence so the derogation mechanisms would not be widely used. In practice, generally, terms of a collective agreement continue to apply upon their expiry, in the period between expiry and the start of a new agreement. Regarding wage bargaining in between pay deals, the parties may agree a pay freeze or a pay pause. adjudicating in the event of a dispute regarding compliance with the outsourcing provisions of this Agreement. At local level, some company level collective agreements contain explicit peace clauses. However, they are not very frequent at this decentralised level. In the recent past, there have been a number of collective agreements focusing on reform of company pension schemes. Many schemes have switched from defined benefit to defined contribution. In the retail industry, which is marked by part-time working hours, successful company-union negotiations have resulted in banded hours arrangements. This requires employees to be guaranteed more weekly working hours, depending on service. It reduces the potential for inconsistency in working hours. Examples include companies such as Tesco, Penneys, and Marks & Spencer. These deals have been largely negotiated by the Mandate trade union, as well as SIPTU. Industrial action is any action taken by a trade union, workers, or by an employer in the course of a dispute. The term is sometimes used to mean ‘strike’, but in fact it encompasses a significant number of other forms of action, including a ‘go-slow’, overtime ban, ‘work to rule’ , and so forth. There is no explicit ‘right to strike’ in Ireland; rather, workers are immune from penalisation if the industrial action they engage in is lawful, in accordance with the Industrial Relations Acts. For the purpose of national statistics measurement, a strike must meet the following criteria for it to be included in CSO industrial dispute statistics: (1) involve a stoppage of work lasting for at least one day; (2) the total time lost is 10 or more person-days. In the past five years or so, official strike action has been most frequent in the public transport sector, with high profile disputes at tram company LUAS and Bus Eireann. Overall, however, strike action in Ireland remains at historically low levels in relative terms. Unofficial action is where some other form of industrial action has happened but which either did not have formal sanction by a union or is not approved by the union (also known as ‘wildcat’ strikes, which are highly unusual in Ireland). For example, the largest strike of 2014, at the Greyhound facility in Dublin, began initially as an unofficial strike, as the required seven days’ notice to the employer of action was not served by the time the action commenced. The strike then became official and lasted for another three months. High Court injunctions were used to prevent the striking workers from blocking the entrance to the facility. In the past couple of years, unofficial action has been prominent in the public transport sector, at Dublin Bus and Iarnrod Eireann. Occurrences of workplace ‘sit-ins’ have increased in quantity, and become more visible, in the past five years. These usually occur where working has already stopped (for instance, when the business has ceased trading) but where workers involved have not received redundancy compensation or due wages. High profile examples in Ireland include: Vita Cortex, Lagan Brick, Paris Bakery. Source: CSO: Industrial Disputes statistics. Source: CSO: Industrial Disputes statistics . The Workplace Relations Commission (WRC) was established on 1 October 2015 under the Workplace Relations Act 2015. It has taken over the functions of the National Employment Rights Authority, the Labour Relations Commission and the Director of the Equality Tribunal. It has also taken over some of the functions of the Employment Appeals Tribunal (EAT). However, the appeal functions of the EAT have been transferred to the Labour Court , which is now the single appeal body for all workplace relations appeals. The Labour Court investigates collective trade disputes under the Industrial Relations Acts, 1946 to 2015. It can also investigate, at the request of the Minister for Jobs, Enterprise and Innovation, trade disputes affecting the public interest, or conduct an enquiry into a trade dispute of special importance and report on its findings. The Adjudication Service (formerly the Rights Commissioner Service) investigates disputes, grievances and claims that individuals or small groups of workers make under the employment legislation listed in Schedule 5 of the Workplace Relations Act. Adjudicators are independent in the performance of their duties and have a wide range of functions under this employment legislation. Under the Workplace Relations Act 2015, the Labour Court is the single appeal body for all workplace relations appeals, including those previously heard by the Employment Appeals Tribunal. A party may appeal the decision of the adjudicator to the Labour Court. From the 1990s, a growing number of firms in Ireland began to adopt ‘alternative dispute resolution practices’ for resolving both individual and collective forms of workplace conflict. However, the last survey data on the extent of ADR is from 2008. The overall incidence and workforce penetration of individual and group ADR practices by 2008 are outlined in Tables 1 and 2. Individual forms of ADR, other than the use of external experts acting in a mediation, facilitation or other related capacity, remained uncommon. The incidence and penetration of various forms of group ADR were, however, significantly higher. Large minorities of firms reported having adopted, or resorting to, one or more forms of group ADR, including assisted negotiations, brainstorming or related problem-solving techniques and interest-based bargaining. These forms of ADR were found to have covered significant sections of the workforce. Source: Based on a representative sample of 505 firms in the private &commercial state-owned sectors in Ireland, employing 20 or more employees, in 2008. For details of the survey, see Hann et al. (2009). Individual employment relations are the relationship between the individual worker and their employer. This relationship is shaped by legal regulation and by the outcomes of social partner negotiations over the terms and conditions governing the employment relationship. This section looks into the start and termination of the employment relationship and entitlements and obligations in Ireland. The Terms of Employment (Information) Acts 1994–2012 requires employers to provide written terms and conditions for an employee within two months of the employment relationship beginning. There is no statutory obligation to provide a written employment contract. The Minimum Notice and Terms of Employment Act 1973 provides a minimum period of notice to employees of employment termination depending on length of service. The Redundancy Payment Acts 1967-2012 provides for statutory obligations in respect of redundancy scenarios, such as a minimum severance payment of two weeks’ pay per year of service, plus one week’s wages. Statutory redundancy applies to employees with two years’ service with the employer and who are over the age of 16. The Protection of Employment Acts 1977-2007 obliges employers to enter a 30-day period of consultation in respect of redundancies. The Employees (Provision of Information and Consultation) Act 2006 requires employers to consult with employees on substantial workplace changes (in companies of 50 employees or more). The Protection of Employment (Exceptional Collective Redundancies and Related Matters) Act 2007 provides for a Redundancy Panel (from the Department of Jobs, Enterprise & Innovation) to assess whether a collective redundancy in question is a genuine redundancy situation or an attempt to replace current workers and their terms & conditions with others on less favourable terms. The Unfair Dismissals Act 1977 is the core protective legislation for employees against unfair dismissals. See also further information on unemployment benefit provisions in Ireland. The Family Leave Bill – not yet published – is expected to consolidate all maternity and parental leave rights into one law. Total of 40 weeks. Two weeks of leave have to be taken before the end of the week of the baby’s expected birth and four of the weeks have to be taken after the birth. 26 weeks paid, plus a further 16 weeks unpaid (if certain social insurance contribution conditions are met). Maternity Benefit paid by the State if the worker has sufficient social insurance contributions. Employers are not obliged to pay employees who are on maternity leave but some may pay employees. 18 weeks unpaid. Both parents have equal and separate entitlement to 18 weeks unpaid parental leave per child (for a child up to the age of 8). A worker may qualify for Paternity Benefit from the Department of Social Protection if they have sufficient PRSI contributions. State pays paternity benefit if the worker has sufficient social insurance contributions. Employers are not obliged to pay employees who are on paternity leave but some may pay employees. There is no legal requirement on private sector employers to pay their employees sick pay. Company sick pay schemes are more common in larger employments. Employees in the public sector have access to the State’s sick pay scheme, outlined in the Public Service Management (Sick Leave) Regulations 2014. This provides for sick leave with full pay for a period of three months, followed by leave on half pay for another three months over a four-year rolling period. Within the regulations there is provision for a critical illness protocol to permit those suffering from serious illness/injury (according to criteria) to receive six months’ full pay and six months’ half pay. In the 2014 budget, the State Illness Benefit payment waiting period was changed from three days to six days. Those on sick leave have to be off work for six days before they can be eligible for the payment. Private sector sick pay schemes have generally had the same waiting period. There is no general automatic retirement age in Ireland. The State pension age is now paid at age 66, and this will rise to 67 in 2021 and to 68 in 2028 for both women and men. Some occupations have set retirement ages, such the police force/An Garda Siochana (age 60) and firefighters. The statutory minimum retirement age in the public sector (for those who have joined since 2004) is 65 (except An Garda and firefighters). Judges must retire at 70 or 72, depending on how long they have served. Pay: For workers, the reward for work and main source of income; for employers, a cost of production and focus of bargaining and legislation. This section looks into minimum wage setting in Ireland and guides the reader to further material on collective wage bargaining. According to the Central Statistics Office (CSO) Earnings and Labour Cost Quarterly survey, in the five years from Q3 2012 to Q3 2017 average weekly earnings rose by 3.0%, from €693.74 in Q3 2012 to €714.41. There were large differences in the changes to average weekly earnings across individual sectors over this time period, ranging between -6.0% in the Education sector to +14.0% in the Professional, scientific and technical sector. Ireland’s statutory minimum wage was established under the National Minimum Wage Act 2000. Experienced adult worker €9.55 per hour. · Over 19 and less than 2 years since first job €8.60 per hour. · Over 18 and less than 1 years since began first job €7.64 per hour. Aged under 18 €6.69 per hour. Under the 2015 National Minimum Wage (Low Pay Commission) Act, 2015, the Low Pay Commission shall make such recommendations to the Minister that are designed to set a minimum wage that is fair and sustainable, and when appropriate, is adjusted incrementally, and that, over time, is progressively increased to assist as many low-paid workers as is reasonably practicable without creating significant adverse consequences for employment or competitiveness. Wage-setting mechanisms, such JLC/EROs and REAs, can also set legally binding minimum pay rates. Working time: ‘Any period during which the worker is working, at the employer’s disposal and carrying out his activities or duties, in accordance with national laws and/or practice’ (Directive 2003/88/EC). This section briefly summarises regulation and issues regarding working time, overtime, part-time work as well as working time flexibility in Ireland. The Organisation of Working Time Act, 1997 sets out the average maximum working week cannot exceed 48 hours. The average is calculated over a reference period of, usually, four months. There are specific exemptions for trainee doctors and road transport workers from the working time provisions, including rest breaks, under select statutory instruments (S.I. 494/2004 & S.I. 20/1998 respectively). In the public sector, the minimum working week is 37 hours, as per the Haddington Road Agreement. There are statutory regulations for overtime and its inclusion in the maximum working week. Overtime provisions vary from company to company. The standard working week was defined as 39 hours in 1987 Programme for National Recovery agreement, but there is no rule/law that says overtime is defined as working in excess of 39 hours in one week. Neither is there a statutory obligation on the part of an employer to pay an overtime rate. Overtime rates, if applicable, are either detailed in employment contracts or in collective agreements. A common overtime rate, at least for the first few hours of overtime working, is 1.5 times the hourly basic rate. Part-time working is regulated by the Protection of Employees (Part-Time Work) Act 2001. This provides protection for part-time workers against unfavourable treatment compared to full-time workers. Part-time work is defined in law as: ‘an employee whose normal hours of work are less than the normal hours of work of an employee who is a comparable employee in relation to him or her. The proportion of part-time working has slightly decreased between 2012 and 2017, from 22.6% to 18.9%. The Organisation of Working Time Act, 1997 sets out that night work is work carried out between midnight and 7am the following day. A ‘night worker’ is an employee who normally works at least 3 hours of his or her daily working time during night time and the number of hours worked by whom during night time, in each year, equals or exceeds 50% of the total number of hours worked by him or her during that year. The Organisation of Working Time Act, 1997 sets out that shift work is any method of organising work in shifts whereby workers succeed each other at the same work station according to a certain pattern, including a rotating pattern, and which may be continuous or discontinuous, entailing the need for workers to work at different times over a given period of days or weeks. A shift worker is any worker whose work schedule is part of shift work. Employees are entitled to a break of 15 minutes after a 4 and a half hour work period. If they work more than 6 hours they are entitled to a break of 30 minutes, which can include the first 15-minute break. There is no entitlement to be paid during these breaks and they are not considered part of working time. (b) As an alternative the employer can give two 24-hour rest periods in the week that follows one in which the employee did not get the entitlement described in (a) above. Unless the contract provides otherwise, the 24-hour rest period referred to above should include a Sunday. In the private sector, working time flexibility arrangements are agreed and conducted at company level. In the figure, we see a comparison between Ireland and European Union for the workers with 'Age : All' when asked 'Do you have fixed starting and finishing times in your work?'. For the 'No' answer, Ireland's score is higher than the European Union score. For the 'Yes' answer, Ireland's score is lower than the European Union score. Data is based on question 39d from the sixth European Working Conditions Survey (2015).The National comparisons visualisation presents a comparative overview for the values of all answers between two selected countries. Maintaining health and well-being should be a high priority for workers and employers alike. Health is an asset closely associated with a person’s quality of life and longevity, as well as their ability to work. A healthy economy depends on a healthy workforce: organisations can experience loss of productivity through the ill-health of their workers. This section looks into psychosocial risks and health and safety in Ireland. The recession period in Ireland between 2008 and 2012 was associated with a significantly lower probability of accidents at work, occupational injury and illness than from 2013 when the economy was in recovery. The number of days lost to accidents at work by far exceeds the number of days lost through industrial action which tend to receive more prominence in the media and public debate. Over the period, the highest injury rates are found in five economic sectors: agriculture/forestry/fishing, industry, construction, transportation/storage and human health and social work activities. For example, fluctuations in accidents at work in the construction sector can largely be explained by the rapid shrinkage in the construction industry during the financial crisis and subsequent recession during 2008-2012 (employment in the construction industry fell by 37% between 2008 and 2009, and the decline in construction employment continued through to 2012 but not as sharply). However, employment in construction has been growing year on year since 2013, with the economy recovering from its deep slump. Source: Eurostat, [hsw_mi01] and [lfsa_eegaed]. The Employment Equality Acts provides that employers must prevent harassment in the workplace. The Safety, Health & Welfare at Work Act 2005 outlines an extensive array of workplace measures that are designed to maintain the health of employees in the workplace. Section 8 of the SHWW Act sets out measures that employers must observe as part of their duty of care towards employees. The Health & Safety Authority (HSA) provides guidance for employers on work-related stress and has produced a Code of Practice on the Prevention and Resolution of Bullying at Work. In the figure, we see a comparison between Ireland and European Union for the workers with 'Age : All' when asked 'Do you have enough time to get the job done?'. For the 'Always or most of the time' answer, Ireland's score is higher than the European Union score. For the 'Rarely or never' answer, Ireland's score is lower than the European Union score. For the 'Sometimes' answer, Ireland's score is lower than the European Union score. Data is based on question 61g from the sixth European Working Conditions Survey (2015).The National comparisons visualisation presents a comparative overview for the values of all answers between two selected countries. The National Competitiveness Council was established in 2000, under the Partnership 2000 national agreement, to ensure ongoing national competitiveness in Ireland. This encompasses ‘education and training, entrepreneurship and innovation, Ireland’s economic and technological infrastructure and the taxation and regulatory framework.’ The Council reports to the Department of An Taoiseach (prime minister). It comprises of representatives from employer and trade union sides, as well as one rep from the Department of Jobs, Enterprise & Innovation. The Expert Group on Skills Needs was established in 1997 and ‘advises the Irish Government on current and future skills needs of the economy and on other labour market issues that impact on Ireland’s enterprise and employment growth. It has a central role in ensuring that labour market needs for skilled workers are anticipated and met.’ It comprises of civil servants and representatives from the employer and trade union sides. Forfas was Ireland’s policy advisory board for enterprise, trade, science, technology and innovation, but has since been dissolve, with its functions integrated into the Department of Jobs, Enterprise & Innovation. SOLAS (formerly FAS) is the further education and training authority in Ireland. It is responsible for funding, planning and co-ordinating training and further education programmes. Quality and Qualifications Ireland (QQI) is responsible for maintaining the ten-level NFQ (National Framework of Qualifications). It also is an awarding body and sets standards for awards in the NFQ. QQI validates education and training programmes and makes extensive awards in the Further Education and Training sector including in the Education and Training Boards. In the figure, we see a comparison between Ireland and European Union for the workers with 'Age : All' when asked 'Have you had on-the-job training in the last 12 months?'. For the 'No' answer, Ireland's score is lower than the European Union score. For the 'Yes' answer, Ireland's score is higher than the European Union score. Data is based on question 65c from the sixth European Working Conditions Survey (2015). The National comparisons visualisation presents a comparative overview for the values of all answers between two selected countries. For Ireland, the European Company Survey 2013 shows that between 2010 and 2013 47% % of establishments with 10 or more employees reported changes in the use of technology, 35% introduced changes in ways to coordinate and allocate the work to workers, and 24% saw changes in their working time arrangements. In the figure, we see a comparison between Ireland and European Union for the workers with 'Age : All' when asked 'Are you able to choose or change your methods of work?'. For the 'No' answer, Ireland's score is higher than the European Union score. For the 'Yes' answer, Ireland's score is lower than the European Union score. Data is based on question 54b from the sixth European Working Conditions Survey (2015). The National comparisons visualisation presents a comparative overview for the values of all answers between two selected countries. The principle of equal treatment requires that all people, and in the context of the workplace all workers, have the right to receive the same treatment, and will not be discriminated against on the basis of criteria such as age, disability, nationality, race and religion. The Employment Equality Acts 1998–2011 outlaw discrimination on nine grounds: gender; civil status; family status; age; race; religion; disability; sexual orientation; membership of the traveller community. The Irish Human Rights & Equality Commission is the State body responsible for equality and non-discrimination at work (formerly the Equality Authority). The Employment Equality Acts 1998–2015 outlaw pay discrimination based on gender. The average gender pay gap in Ireland in 2016 was 20%. The average gender pay gap is significantly higher for male professionals in Dublin than it is in Cork or other regional locations. The gender pay gap is higher in Dublin due to two main reasons: firstly, the dominant industries in each of the cities and secondly the location of senior management. Financial services is the main professional industry in Ireland with 19% of all professionals employed in this sector. It is also a sector that has the highest gender pay gap of 29% and has a greater proportion of employers and positions in Dublin than any other location nationally. The most represented industry in Cork is technology & telecommunications with a gender ay gap of 7% in this sector. The gender pay gap increases along with the education level attained. The gap increases from the lowest overall earnings gap of 10% for employees holding a BSc degree up to 33% for executive MBA holders. That represents a gender pay gap of €32,500 annually compared to €11,500 (22%) difference between men and women with no degree. There is a narrowing of the gender pay gap for women who make it to the executive level; They are paid almost the same as men at the same level (1% pay gap). That is largely compensated by the fact that there are less women at the executive level than in any other position (only 24%). The gender pay gap widens with years of experience from 12% for 0–5 years’ experience through to 28% for 15+ years’ experience. Under the Disability Act 2005, public bodies are required to recruit at least 3% of their workforce from among people who have a disability. For the years 2011–2013, this 3% target for the public sector overall was surpassed, according to the data gathered by the National Disability Authority. The Electoral (Amendment) (Political Funding) Act 2012 requires 40% of political party candidates to be women. If they do not meet this quote, their funding will be reduced. The target for subsequent general elections is therefore 40% women candidates. Gunnigle, P. et al. (2017), Human resource management in Ireland (5th edition). Dublin: Institute of Public Administration. Murphy, A. and Regan, M. (2017), Employment law in Ireland. Dublin and London: Bloomsbury Professional Ltd.
Roche, W. (2016), ‘The development of conflict resolution practices in Irish workplaces’, Administration, 64(3/4): 61-89. Wallace, J. et al., (2013), Industrial relations in Ireland (4th edition). Dublin: Gill & Macmillan.